Every year, I look forward to the latest in the Best American Poetry series; it's a wonderful way to gaze upon a sampling of the previous year's poetic output. I mean, I love poetry, but who could possibly keep up with every single piece in every single journal each year? We're so lucky to have a glut of access to great poetry, and equally lucky to have poetry anthologies to help us sort through it all. 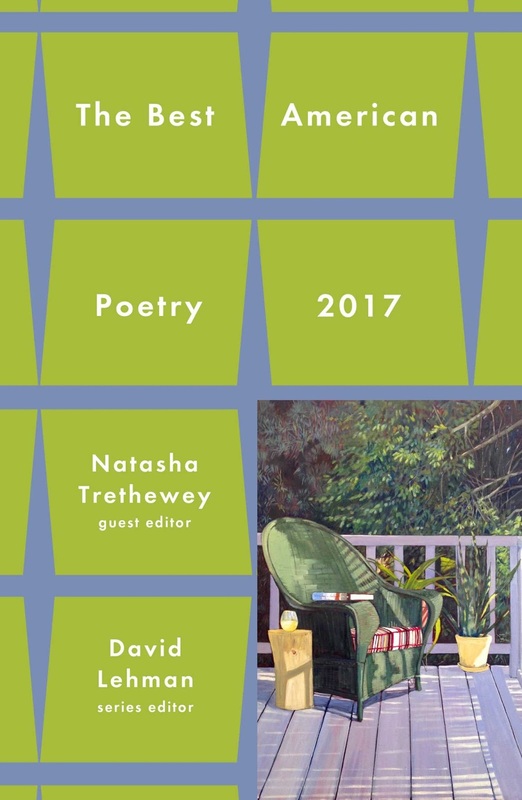 This year's Best American Poetry anthology is particularly remarkable in that I don't know if there would be any anthology - a nonfiction/journalistic one, perhaps, but not necessarily - that would better encapsulate the social, emotional, and political turmoil of 2016-2017 than guest editor Natasha Trethewey's poetry selections. The poems featured in this year's Best American series vary widely in terms of theme, execution, technique, et al. When placed together, however, a remarkable unfolding occurs: grief and joy share space; anger and upheaval marry revolution and hope. The text unflinchingly and properly examines what it means for the political to be personal and vice versa. Many of the poems carry their emotional heft in the interplay of this examination. There is, also, a balance of the individual and the collective, the historical and the personal, so the reader never feels lost in the chaos of the past year. This is anthology is reckoning, reflection, and revelation. The poems are representative of all of the confusion, clarity, and celebration that emerge as a result. I would definitely recommend this for fans of poetry in general and the Best American Poetry series.